​They Stood Silent; We knew What That Meant. 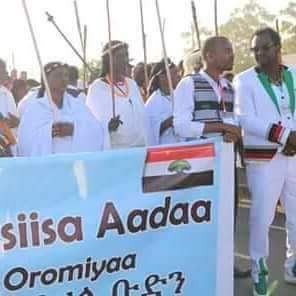 Oromia Delegation in Ethiopian Nations, Nationalities & Peoples Day, Semera, Afar. This is an axiom which states that you cannot do anything not to convey a message given that behavior is always there with no counterpart. Every one communicates even though some are better at it. Your words or without them, your gestures or their absence, your comments about or the sheer disregard of an issue conveys message. You communicate anyway. When it comes to the matter of communication, silence might shout louder than words. Silence can be deafening, not because of its stillness and at times awkwardness but because of the understanding why someone resolved to engage in it which not even a word of a sage can express. On December 07, 2017, the advent of 12the Nations Nationalities and Peoples’ Day of Ethiopia was to be celebrated in commemoration of the formulation of the Federal Constitution of the country in 1995. Representatives of regional culture teams from all regions are in Samara, Afar Region to make their first show on the advent, a day before the main event of the festival takes place. These representatives are chosen from different zones of their respective regions to display the beauty of their cultures and celebrate the Day with the main aim “unity with(in) diversity “. 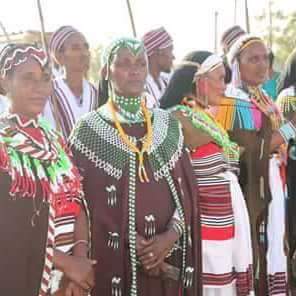 The Oromia Region team was given the time and they have shown that they are closer to the pulse of their people than to the mere festival of a day or two. There was a strange but never coincidental drama that swept the arena for a moment. 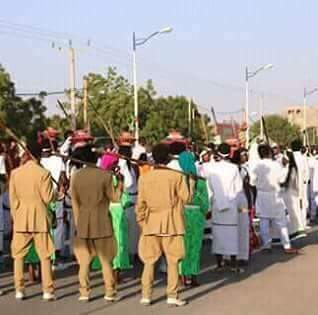 That is when Representatives (Cultural Team) came in to the scene and were supposed to sing and dance to show the culture of the nation and as a thanksgiving to the current regime for granting them the right to cultivate, practice and celebrate one’s culture. When the time is for them to shine, enchant, sing and dance, they stood still and silent, high in grace and shouted out their silence of resistance. They refused the sirba giddii in defiance. The silence is made in resistance towards the regime’s deliberate border war, mass eviction, torture and above all, the regime’s silence on the matter and neglect of its very duty of serving the people. The official report from Oromia Regional State reveals that the total number of internally displaced citizens amounts to 693,000. Dr Negeri Lencho, the Federal government spokesman said last month that it is the biggest internal displacement in the country’s modern history. The Federal government hasn’t done any significant rehabilitative service. Moreover, it stopped the send-and-help text campaign launched by its telecom giant within five hours for a dubious reason. The evictees need emergency food, shelter and medical attention. The Oromia Regional State Government said that 1.2 Billion Birr is needed to permanently rehabilitate them while it has collected only about 400mln Birr till now. The federal government is eroding its claimed legitimacy and making people’s tolerance grow thin by giving deaf ears to this literally matter of life and death affair. It failed to show any interest to serve the people it is ruling. The perpetrators of the war aren’t brought to justice, for Somali Regional State failed to detain them. The counterinsurgency paramilitary named Liyu Police isn’t even mentioned in the list of the criminals. It is a clear message to the regime and the people of Ethiopia that they conveyed through that act of bravery. To the regime, they are saying that they remain closer in spirit to their unjustly troubled fellow men and women than to the regime’s celebratory Day of Nations Nationalities and People which is hollow political festival. They also showed solidarity with their people and government’s silence is anything but solution. They sent a bold message to the people of Ethiopia, by calling them into solidarity with their struggle against injustice. Life is like a trampoline. More so is this time for the Ethiopian people. When one hurts, it is only the right thing to join in alleviating of the pain and find solution the problem together, as this problem continues unabated, one day the same wave on the trampoline will definitely cause us the same pain. The Somali Liyu Police hasn’t stopped the killing and the time is too tough for Lemma Megersa’s administration. It is the time when he as a leader have to address this historically milestone issue. It is historic both ways. It is historic because he succeeded, the Oromo Protest will get the much awaited and sorely needed institutional leadership to harvest its fruits. It is historic because he failed, the Oromo Protest will succeed anyway because the time is too late and the Qeerroo has long passed the point of waiting for their savior, for they knew that they were their own saviors. They stood silent; and we know what that meant. Because as we have seen, YOU CANNOT NOT COMMUNICATE. That meant that are mourning, moaning in anguish, feeling the excruciating agony of their fellow human beings who are made unjustly suffer under the iron fist of power hungry low lives and ignorant political animals. They meant by that silent that the life, the dignity and the lack thereof of our people pains us for we are living on the same trampoline. When killers and invaders move one side of that trampoline, we all move. We all pain. We all hurt. We all feel the shock wave of injustice, killing, displacement and imprisonment of our fellow dwellers of the trampoline. They meant, even though physically free, they imprisoned together with the political prisoners. They meant, even though physically not hungry; the hunger and thirst of their people is in their bones and blood. They meant, lack of medical attention by the evictees is their very need of the Day, not the Day itself is. They meant, join us in solidarity to resist injustice. They meant military power and might will never triumph against and over the people with truth. 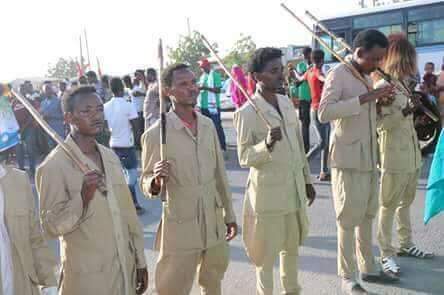 They are telling Lemma Megersa that their psyche of resistance culture of protest is noble and failing to lead this isn’t in the option. They stood in silence, and we knew what they meant, BECAUSE YOU CANNOT NOT COMMUNICATE. Sirba Giddii ; it is an axiom of Afaan Oromoo that states if someone isn’t too much into dance, but has to do it just to pass the unwelcomed invitation. Previous Post ከግንባርነት ወደ ንቅናቄ፡ የኢሕአዴግ የግንባርነት ጉዞና ቀጣይ ፈተናዎቹ! 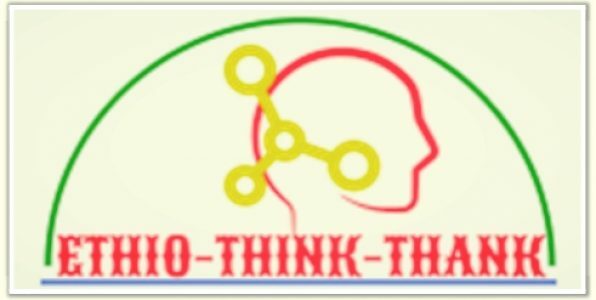 Next Post ​ለኢትዮጵያ ህዝብ እና ለዓለም አቀፍ ማሕበረሰብ የቀረበ የድረሱልን ጥሪ!